I have heard nice things about 4k HDR versions of John Wick, Lucy, The Revenant, etc. Is it out on NF yet or Hulu or Amazon? I bought the whole 1st season but it was not HD. yes I meant PE1. It was stunning good. I watched it on my home theater and boy that was such an experience. Where did you get PE 2? Creepy but amazing. I dont like snakes and there were few dozen hunting in group. Let me check if Amazon has PE2. Any IMAX movie would do. The Dark Knight is the master of it, largely due to the fact that the CGI is very minimal. That's the reason why Interstellar looks a bit off. Remember the truck flip scene? Instead of cg or miniature, he really flipped the truck. Ironically, some critics told that 'cg' looked unrealistic. There is no upgrade path for HDR10+ (AKA, "dynamic HDR 10") available ahead of the hardware update to HDMI 2.1 which is required to support HDR10+ from UHD Blu-Ray discs. Model year 2016 Samsung HDR TVs can now support HDR10+ via streaming only; their HDMI 2.0a inputs will only support HDR10 from UHD Blu-Ray discs. Model year 2017 Samsung HDR TVs can now support HDR10+ via streaming only; their HDMI 2.0b inputs will only support HDR10 from UHD Blu-Ray discs. Model year 2018 Samsung HDR TVs will support HDR10+ via streaming as well as on their HDMI 2.1 inputs. John Wick 4K HDR disc review .... May get this one! Logan's landscapes (inspired from "shane") must be spectacular in UHD as must Gal Gadot in WW. Blue Planet 2 will be out in 4K HDR soon. Mad Max: Fury Road looks stunning. As does The Revenant. But the best looking of the lot is Planet Earth 2 no doubt. Biggest problem with 4k movies is the lack of rental facilities of the discs. That will give you the best PQ and lossless Audio. The streaming 4k is pretty good on YT, Prime Video and Netflix, but audio is limited to age old 5.1 for most cases. I wish there was a good rental availability for 4k movie discs like Netflix or Redbox. 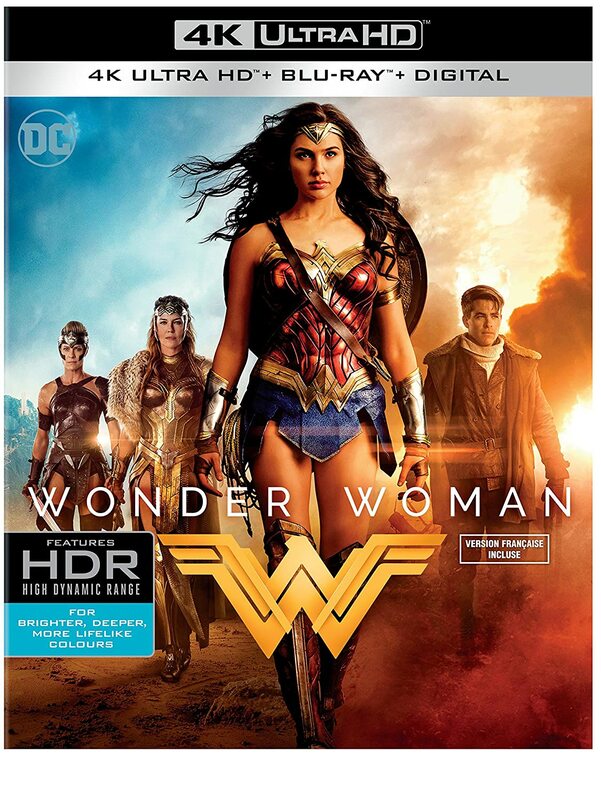 4K blurays are over priced. I usually wait until they have dropped in price before even thinking about purchasing. The most mesmerizing film I had seen was the Rocky Mountain Express. I saw it at the IMAX screen at the Royal BC museum. Give the film a try, you might like it. There were some others at the Kennedy space center related to the ISS & Hubble, those type of films can look really good as well on high resolution. Anyone here using a 4K Surveillance system? Below is the screenshot from today's backyard camera. LOL, digital cables are not like analog cables. Spending $35 on a HDMI cable is insane when you can get the same performance from a $10 good construction high speed HDMI cable. And I am a audio-videophile with good equipment. I use these in my HT system and they are as good as any expensive cables for short runs. Now if you are running 20 ft+, yes there could a difference. For 6 ft or less, NO! that cable will support both 4k HDR-10 and Dolby Vision. There is nothing to support bandwidth up to 48 Gbps. 18 gbps will support any 4K high dynamic range format that is present today. Manufacturers will present arbitrary specs which are not necessary and jack up the prices when same performance can be obtained from a well made lower price cable. Belkin's price is not that outrageous. Some of the so called "audiophile" cable companies charge twice that amount for an HDMI cable. Sadly consumers do not do research and fall for that trap. “4K60 4:4:4 runs at 17.82Gbps, but only with the default 8-bit BT.709 color. That’s the same color gamut as 720p and 1080i/p. The whole point of HDR is to increase color volume, which it can’t do unless there’s first an increased color gamut. That means stepping up to BT.2020, which in turn means 10- or 12-bit deep color. The HDMI 2.0 spec also calls for a minimum 10-bit color with BT.2020. Zen, what TV do you use for viewing these movies - a 4k OLED or projector? I am looking to buy a 4k HDR TV soon, is Samsung, Sony or LG better in your view for picture quality? Also, is the expense for OLED tv worth it over normal LED? Thanks Zen, very useful info . Have to do more research then. Cool, there should be a similar model in UK as well. X900F in the US, and XF90 in Europe, is the successor to last year’s popular X900E series whereas X850F (XF85 in Europe) will replace X850E. We have already reviewed X900F (XF90), which has received our Highly Recommended Award.